Just minutes ago my son Roel lovingly whispered to me- "mom I got to tell you something but promise me you wont get angry first!" Intrigued and eager to listen to what he has to say I was quick to reply "Ok I promise, now what is it dear?" as I hugged him. He made a sigh after which blurted out "Miley Cyrus is my idol! Just the melody of her song mommy not her way of dancing and not the yucky video!!" He made a dash for his phone and said "listen mom!" and emphasized on his fave part of the lyrics "remember only God can judge us, forget the haters 'coz somebody loves you! "...singing along melodiously the boy winked at me and smiled, I paused for a second or two thinking of the wisest thing to say , looked him in the eye and SAID "I LOVE YOU BABY, please don't follow the mmm mmm (referring to the not too pleasant dance moves and acts on the video) of Miley. He laughed and answered "of course I wont mumy!" It's so challenging raising kids during this era of technological advancement when they have easy access to everything online! That is why the hubby and I work hard to guide them and make them feel loved every step of the way! I PRAY MILEY BECOMES THE WHOLESOME GIRL SHE USED TO BE BECAUSE MY BOY AND MANY OTHER SEEM TO ADORE HER STILL. May your homes be filled with love and peace and as Miley's previous hit single says . . . There's always gonna be another mountain, always gonna be un uphill battle...yet what matters is the climb! 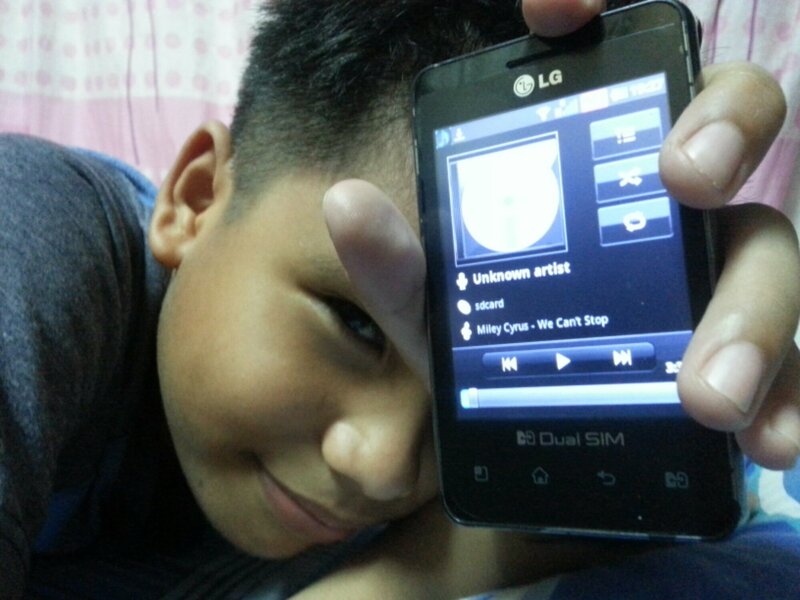 So sweet of your son and I like the song he chose. Same here,as a mom i'm so scared for my daughter and I do my best and I always pray to God to guide my daughter. I am so glad that my 8 year old daughter was never interested with MC, she doesn't even know Hannah Montana weee. ahhh, tough indeed! but I love his choice of words in MC's song. Like your boy, I like Miley Cyrus' songs too. My 11-year old has outgrown Miley long before her "career shift"-- something that I am happy about! Yes, it's a pity. I think MC is lost, and in need of so much love and attention. She could have chosen another career path, maybe more of acting. And I agree, so many people still love her. It must be hard for you, Dokie! But you can only be there for your children to guide and protect them the best way you know how. In the end, they will be treading their own paths hopefully not influenced by Miley. Parents has the hardest work of all, you need to ensure that you guide and not control your kids on what is right. you have to tell them and teach them everyday..until they are fully matured to know exactly what's good for them, however that job won't stop there, until you are alive and they are your being a parent will never stop. She is becoming more out of the box now. The video of Wrecking Ball is quite an eye-opener.